One of the best multi-purpose hunting knives ever made, this limited edition classic has been a much-loved part of the Cold Steel line-up for many years. Razor sharp, with a wide belly and an up-swept point for skinning, and a secondary bone-breaking edge on the spine for hardier harvesting tasks, the Outdoorsman will make short work of even the biggest game. 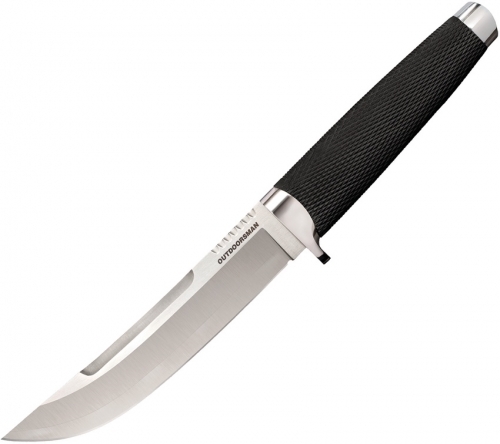 The Outdoorsman's generous full tang is encapsulated in weatherproof non-slip Kray-Ex, allowing the knife to be safely used even when your hands are wet and bloody.